It was cloudy all day here in Bowling Green, Ohio. At dusk, I saw the clouds break a bit, but a thin layer of haze remained into the night. 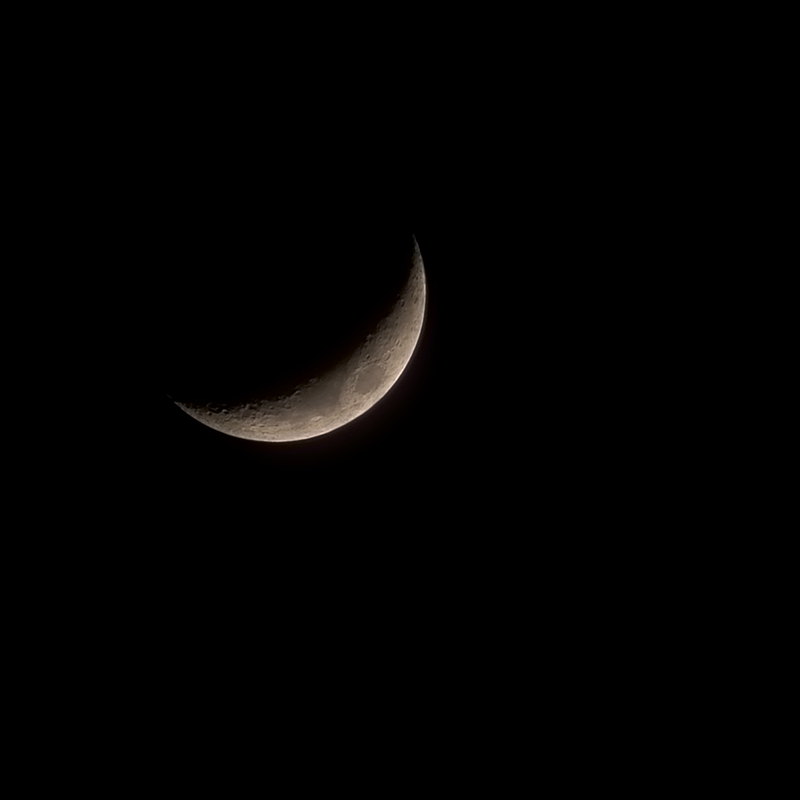 Photographed from my apartment complex courtyard at 10:00pm ET, the crescent moon created a ghostly smile through the clouds. 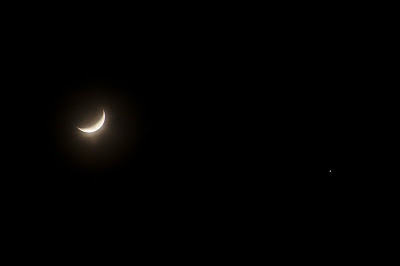 In this single exposure, Jupiter is a small point to the lower right. I also made a stack of the crescent moon to round out my stacked lunar phases collection. 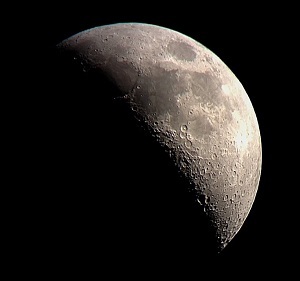 Before, I only had a single exposure of this phase of the moon. Now I should have enough for a composite picture of the main phases: crescent, quarter, gibbous, full, gibbous, quarter, crescent, new. I also have to say, I'm super impressed with the Registax software! I took these 38 subs through a haze of thin clouds, and after stacking you would think the sky was completely clear tonight!! Impressive!